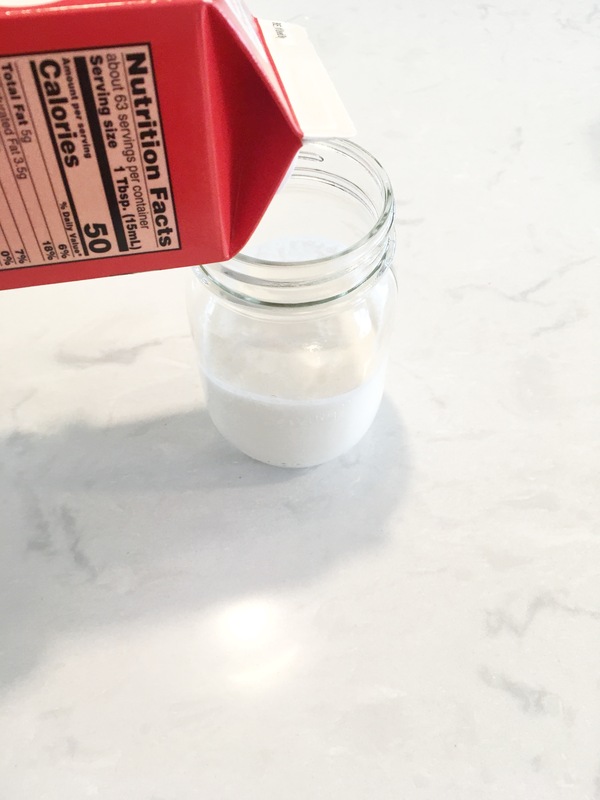 I had a container of heavy whipping cream sitting in my fridge for a few weeks. I kept looking at it, knowing I needed to do something with it, but never knowing exactly what! My sister finally suggested to me that I should use the cream to make butter with my kids. This actually turned out to be the best idea ever! 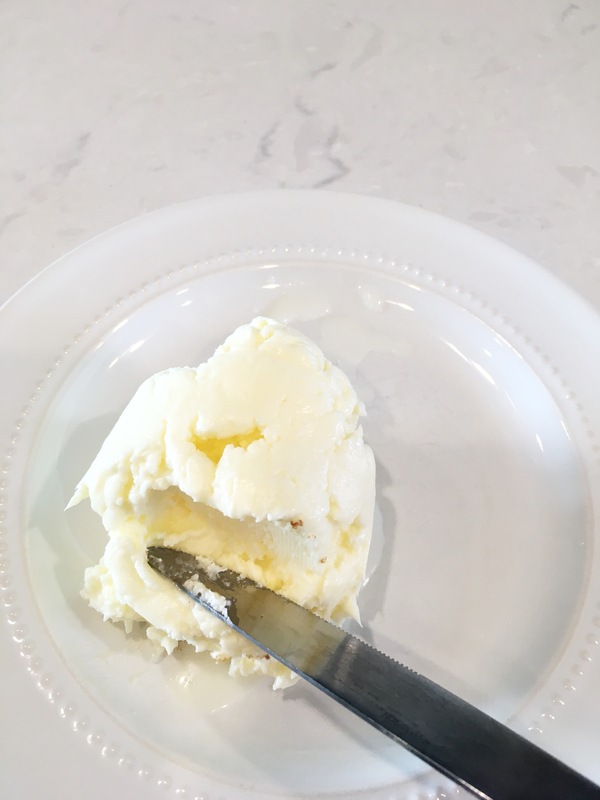 Making butter was so so easy, cheap, and my kids absolutely LOVED it! 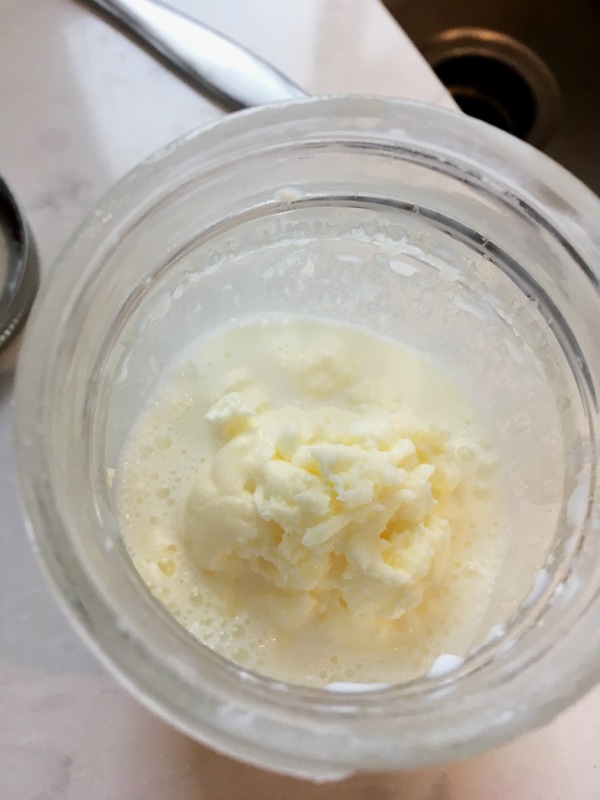 My kids loved shaking their jars and checking every 5 minutes to see if the butter had formed. My daughter even said, “Wow! They use to have to work hard in the olden days! 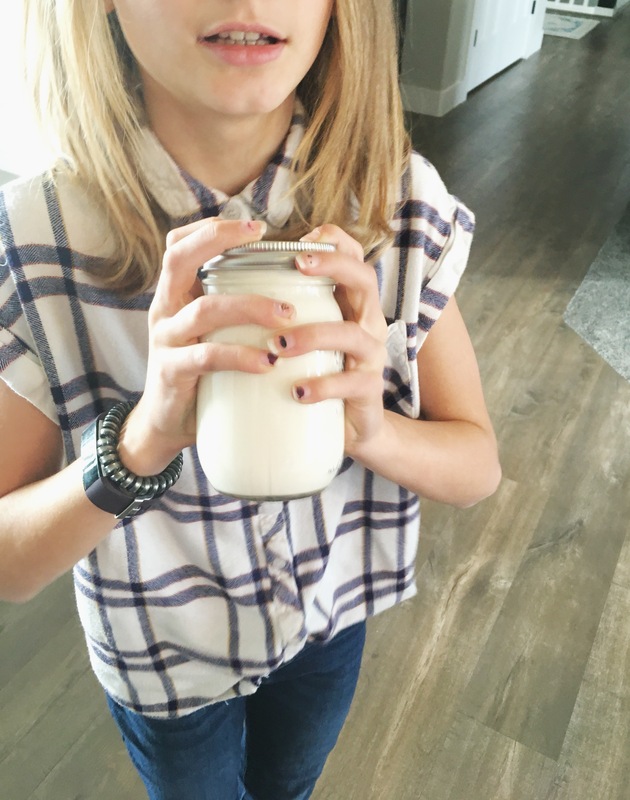 I can’t imagine doing this every time we needed butter.” This led into such a great discussion about the conveniences we have now and how hard our ancestors had to work in order to survive. 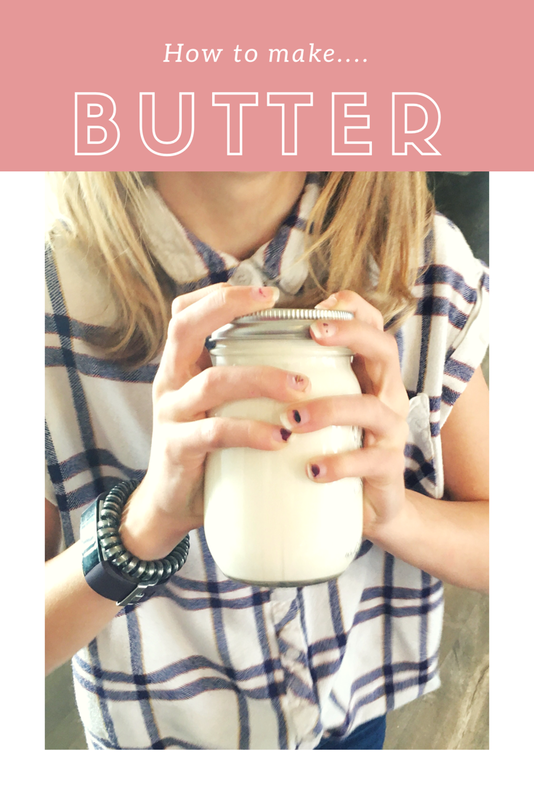 You can make your very own butter; all you need is a mason jar and heavy whipping cream. 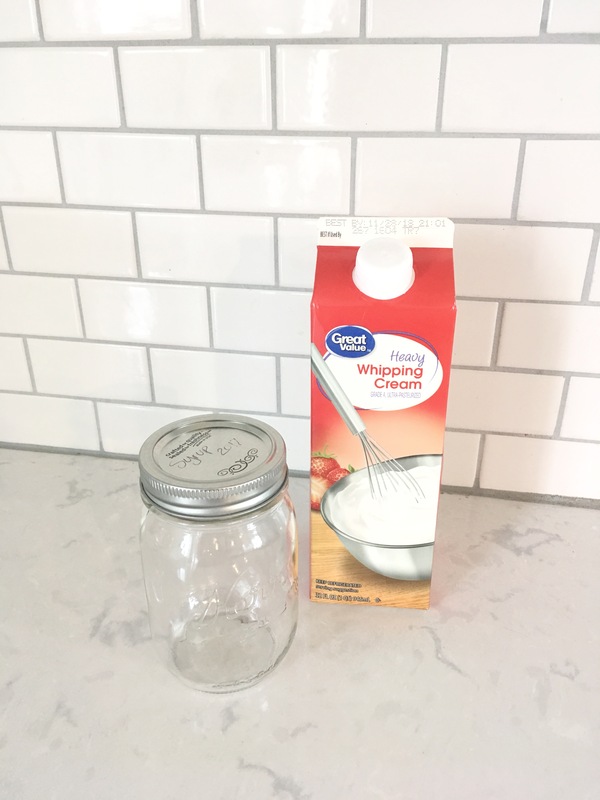 Pour some whipping cream into the jar. I filled our jars about half full, but if you are doing this with your kids I would recommend only filling it about 1/4 full. 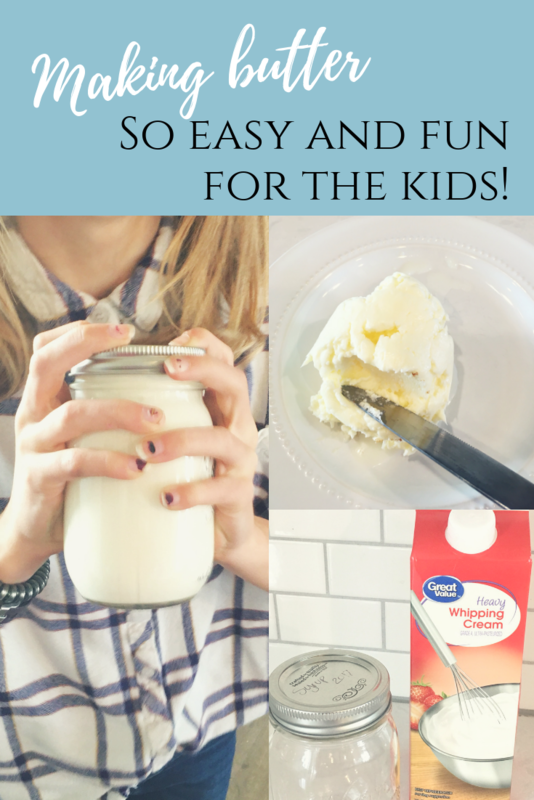 I think it would’ve been easier and quicker for the kids if the jar had less cream in it. Now, you shake it! Shake, shake and shake! This took us about 45 minutes of hard shaking. If I had done less cream I’m sure it would’ve been much quicker. We turned on some music and danced while shaking our jars. The cream will slowly become thicker. You will eventually notice the butter separating from the cream. 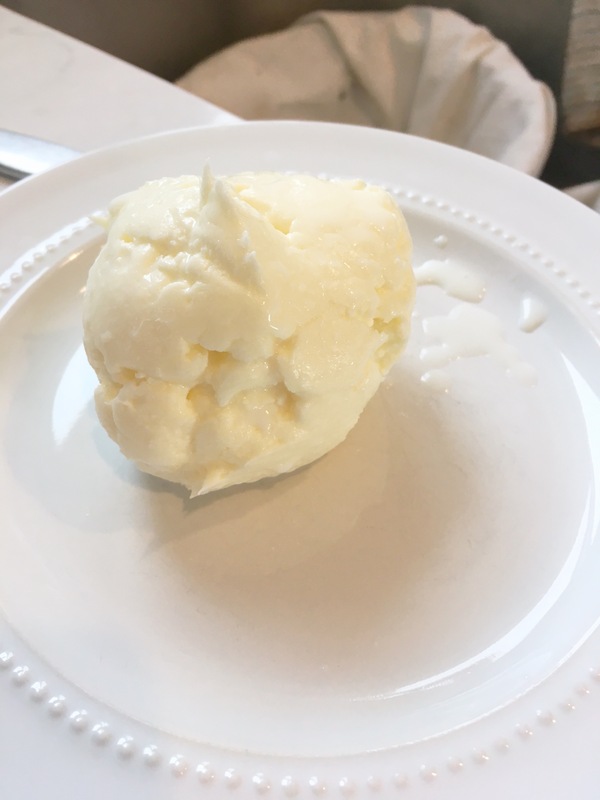 The butter will form together in a nice solid ball. Once this happens, you are done! See, so easy! Drain the leftover cream, rinse your butter, and then transfer it to a plate. Wah-lah! You have made butter! Now is the fun part! Enjoy your butter on some fresh bread or rolls. It really is delicious!